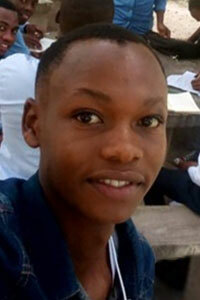 Benson has been invited by the government to go to university…at the National Institute of Transport in Dar es Salaam! He is a very bright young man. Benson has two brothers and one sister. His dream is to be a teacher one day. Benson enjoys playing football and loves listening to and performing rap music.